Wonder Con, who is the partner of Comic Con International in San Diego is a convention that orchestrates definitely on all things pop culture, whether it is film, anime, television, comics, and among others. Wonder Con usually takes foot in Anaheim, a suburb of Los Angeles, CA. It is an annual event, taking place in early spring, and approximately 4-5 months before Comic Con. This year, Wonder Con will take place during a three-day weekend from Friday, March 25th,to Sunday, March 27th and in Los Angeles. 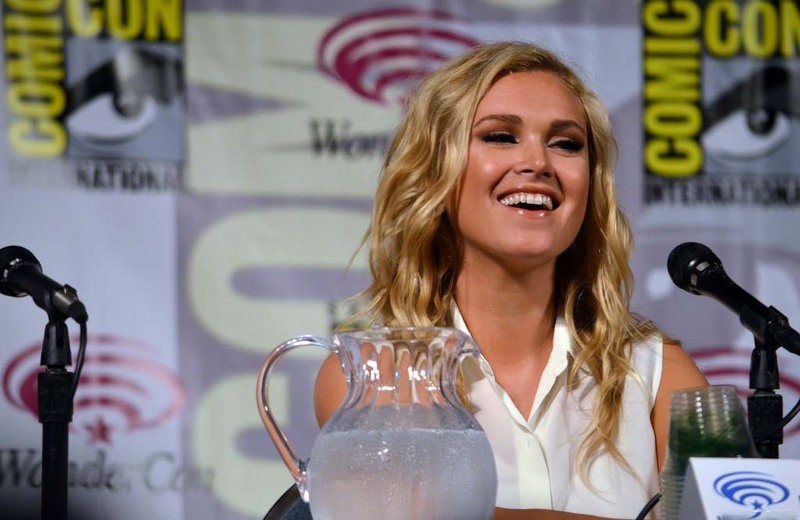 The 100 cast, along with showrunner, Jason Rothenberg, will be doing their panel on the 27th. Below is a description, courtesy of IGN.com. 12:15-1:15 p.m. The 100 Special Video Presentation and Q&A — With Mt. Weather destroyed, and tensions escalating among the various clans on the ground, join The 100 as they return to WonderCon for their second appearance. The 100’s sacrifices and heartbreaking choices have changed them forever, but now, as they set out to fortify their place in this dangerous new world, the question remains what form that world will take? Will peace begin to take form, or will full-scale war break out among the Grounder clans? The twists are just beginning. Be among the first to get the scoop on what’s in store for the second half of season three. What is the City of Light? What is ALIE’s end game? What challenges will the Sky People face next? Join us for a special video presentation followed by a Q&A with series stars Eliza Taylor, Bob Morley, Devon Bostick, Christopher Larkin, Lindsey Morgan, Richard Harmon, Isaiah Washington and executive producer Jason Rothenberg. From Bonanza Productions Inc. in association with Alloy Entertainment and Warner Bros. Television, The 100 airs Thursdays at 9/8c on The CW. 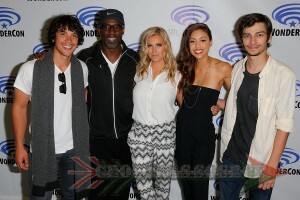 Become a fan on Facebook at http://www.facebook.com/CWThe100, and follow the show on Twitter at @CWThe100. Along with The 100 panel, writers Shawna Benson (The 100), Jo Garfien (Cancer Gets Lost, Sci-fi Mafia), and IGN’s executive writer, Eric Goldman will do a presentation regarding fanbases on social media, and how they can impact both negatively and positively. Here is the description, courtesy of Comic-Con.org. Chase Masterson (Star Trek: Deep Space Nine), Carina Adly MacKenzie (The Originals), Shawna Benson (The 100), Susan Kresnicka (anthropologist, Troika), Eric Goldman (writer, IGN), and Jo Garfein (executive director, Cancer Gets LOST) will discuss the evolution of fandom and how social media have been both a blessing and a curse to fans, content creators and entertainment journalists. This panel seeks to bring this debate out into the open, to discuss how the rules of fandom have changed and what creators and fans can do to make the fan/creator interaction positive and enriching. I wish that I could be a part of this, both as a fan and commentator. Plus, it would be a fantastic opportunity not only to learn from my writing colleagues, but a great memory and experience.